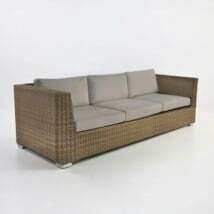 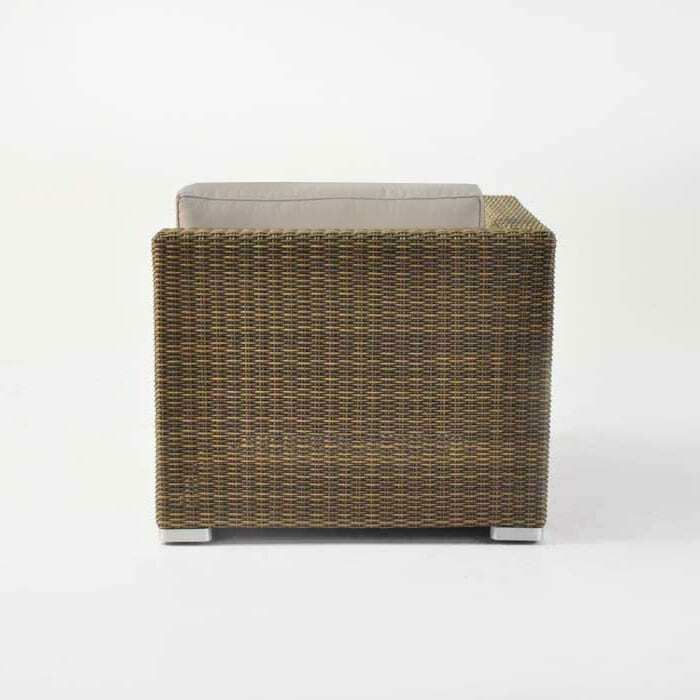 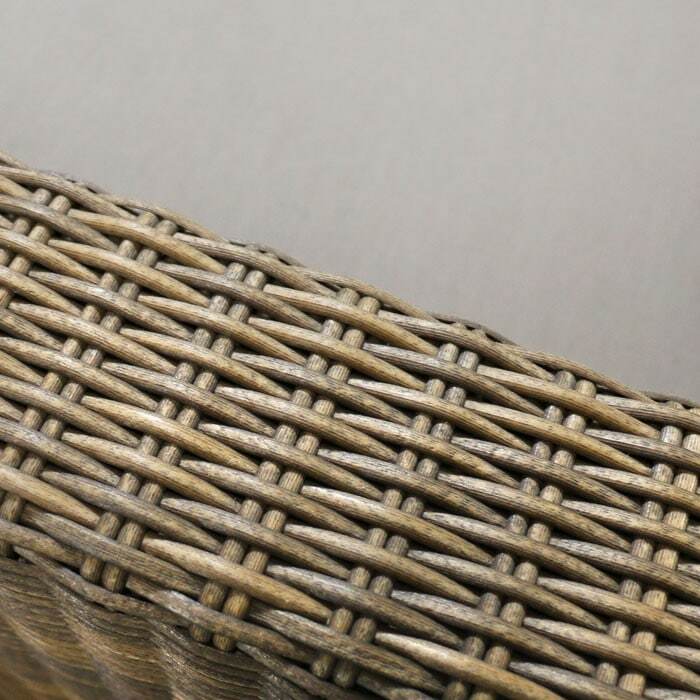 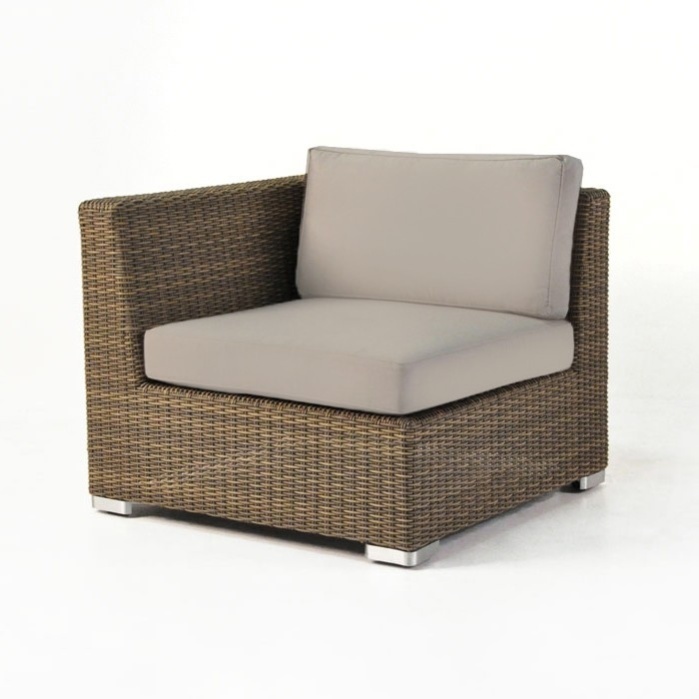 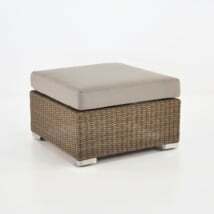 The right arm end piece for the modular Paulo outdoor wicker sectional in Sand color by Teak Warehouse. 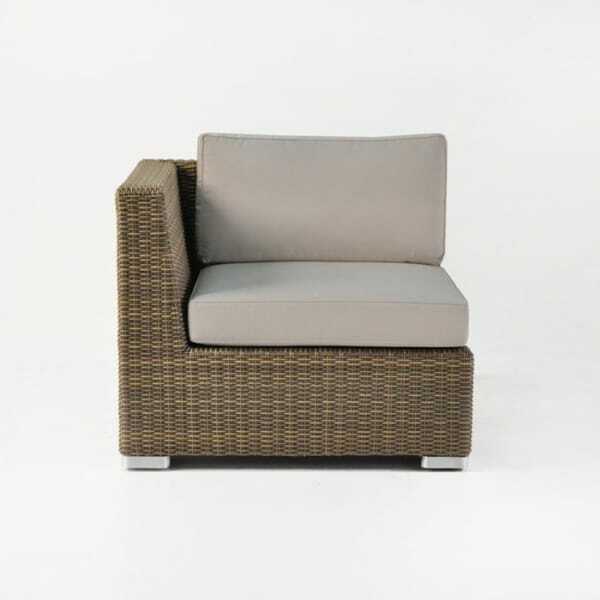 Can be used as a single arm chair. 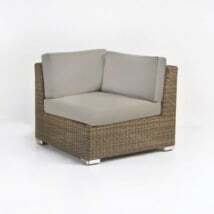 Located under each individual piece are clips to secure your Paulo sectional together. 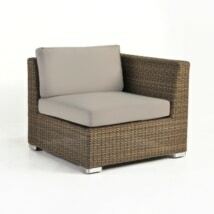 Made with premium synthetic outdoor wicker. 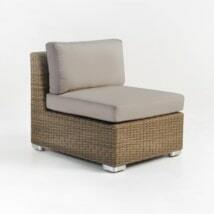 Free Sunbrella cushions as shown. 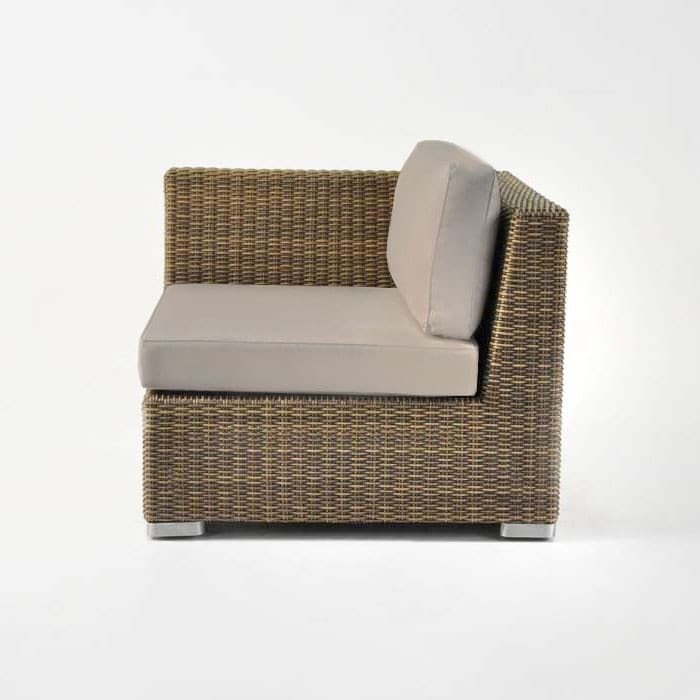 Versatile beauty, the Paulo outdoor wicker sectional is available in 4 modular pieces in sand color– center, center, left and right arms allowing you create your perfect patio set. 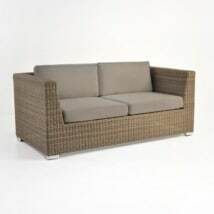 Make your Paulo sectional sofa as long or short as your outdoor space allows, ending it with a left and right-arm sectional piece on each end.